While there are many different board games out there for people to enjoy, sometimes you can get a little bored with what is available, especially if you’re a board game enthusiast. This may be a little off-putting, for board games are one of the best ways to pass the time, as they mainly require both brainpower and allow for social interaction. There are ways around this problem, however. You could either take an existing board game and change the rules in some small way which could completely influence the way that the game plays out. Or, perhaps if you’re a creatively-inclined person, you could actually be inspired to make a board game of your own design. It really should not take much for you to create your own board game. Generally, all you need is a simple idea that may be executed in the realm of a board game. It has to be unique enough to differ from existing board games, to make it worth the effort of creating the game, but it probably should not be too complex for the harder the idea is to execute, the more likely the game is to fail. The first thing you will need to do, when deciding how to construct your board game, is to determine whether the idea is actually feasible. After you have determined whether making this board game will be worth the effort, you must determine how many players the game is suited for. It is important to remember that most games need to be adaptable for a number of different players, as the sizes of the groups playing them can vary from time to time. Once this is decided, you need to figure out the actual design of the board. While you’re able to design your board in any way that you desire, it may be important to remember that the more simple absolutely everything is, the more accessible it will be to everyone playing. A cluttered board can lead to mass confusion, it may simply be easier to have a clean design for everyone to experience. One of the most important factors in designing a board game is to figure out how each player will make their moves. Will there be random movement, such as dice or a deck of cards? If either of these are true, special allocations must be made for them. Spare dice may be picked up at most gaming stores. Decks of cards may be a bit trickier to make, as they will probably need to be hand-drawn. Laminating them after would be wise, as it would help protect them from getting damaged and leaving different marks on the cards which, in turn, could help players identify which cards stand for what. Tokens are of vast importance when designing a game. How will the players be able to tell which pieces they’re and where they’re on the board? Tokens needs to be differentiated between each other with ease, mostly with different colors, shapes, or sometimes sizes. Whatever the method used, they’re all important parts of making your own designer board game. With these few basic steps, you may one should have all the very basic pieces together to putting your game in to order. All you need now is concise rules, a little determination, and your very own board game should soon be playable! Victor Epand is an expert consultant for board games, chess boards, and dungeons and dragons miniatures. You will find all these things and more if you visit original board games, chess boards, and dungeons and dragons miniatures. The old time worldwide leader in creating interactive entertainment, the Japanese company Nintendo, is finally getting a noticeable competitor, the easy accessible, world wide web industry of free games. The two best selling video games systems, Nintendo 64 and Game Boy are still very popular, but the rate in which the computer games are evolving, it is easy to see, that very soon, they might become obsolete. No matter the reasons for releasing the games for free, either to promote sequels, or out of karmic generosity, their producers, publishers or creators have designed special web sites, one more attractive than the other, with dozens of free games. Even though they cannot be played at a console anymore, they are still Nintendo type games, like the games from the free games web site, freegamez.be, where a large variety of video games can be found. We might think that playing video games is an activity meant for children only, but today there are a lot of adults who are enjoying this experience as well. If a survey would be made in order to find out if the number of adults that play games is higher than the number of children, there would probably a be a tie. The people who spend any of their time playing video games cannot be categorized in social classes, or after any criteria like their intelligence level, because the games are very diverse, from very easy and not so complicated, to real trials for someone’s mind. If you need to kill any spare time you can opt for an easier free game available on the Internet, like the Bubble Bobble, Snoopy, or one of the high score games like Asteroids, Pacman and Snake, which do not need a high level of knowledge. People who need more challenging games can also find a large number of free games suitable for their needs and they can be entertained for hours. Some people might think that playing Nintendo games, especially violent ones, can be very harmful for young children, and they are right in this case, but any games, can be very educational, as the player needs to have certain mental skills and he develops them while playing. A very interesting approach on how to make sure your child doesn’t have access to Nintendo games that can be harmful, is to make sure you are aware of the free games that are available online. You can find a lot of reliable sites and free information on the Internet about the games and the game systems and you can decide which games are best for your children without cutting them out completely from the daily routine. A couple of hours spent playing a Nintendo game are not damaging to the child when any rules are imposed from the begging. We also suggest you let your child enjoy other activities as well, like spending time outdoor together with their friends. Why is it so hard, as a parent, to admit that buying video games is not necessarily wrong or harmful for the child? Probably the wrong idea that playing video games is less challenging than spending time enjoying outdoor activities. Encouraging the children to play Nintendo games is not something to be ashamed about because it can help your child develop reflexes and a strategic way of thinking. This is why parents have to read more of the available correct information on the Internet about Video games and have to admit that they enjoy free games as well. Online free games are extremely popular among children and grownups alike. In fact any game lover is also passionate about Nintendo games as well. This is why our website invites you to visit and enjoy the time spent in the company of our games. Finding decent quality chess sets is not as easy as you might think it should be, particularly if you are out shopping in the high street. A specialist store is hard to find – there might be one in a busy city centre but otherwise most high street specialist games retailers have closed their doors, either for good or to change the business to an online one. Sometimes you can find sets in toy or novelty stores but the choices are limited. Your best bet is to do a search online where there’s a larger variety. There are hundreds of online chess stores, and prices are generally cheaper as merchants have fewer overheads to cover, and the options range from wooden and metal to marble and glass. And how much easier can it be, when you can buy online from home and have it delivered right to the door? When shopping most people like to touch products to get a real feel of the texture and quality. The problem when looking on the net, for anything, is that you have to rely on the images provided. And, whilst these can be zoomed into and studied from various angles, it’s simply not the same as picking it up, weighing the pieces, smelling the wood and experiencing the quality up close and in person. That said however, online shopping is still a lot of fun and simple enough to do, you can open as many websites as you like to compare prices and styles. Have a good look at what is available before making a decision as prices can differ greatly depending on who you buy from, and the savings made can be put to good use elsewhere, like buying other chess supplies. Buy a set complete, or the board and pieces separately if preferred. Sets are generally cheaper, but there’s not always a lot of difference. Many sites have a sale section or special promotion, this is the section where you’ll find discounted products as the company tries to sell off the old stock to make room for new items arriving. If you surf the web looking for chess retail sites you’ll almost certainly read enough customer testimonials and reviews to give you an idea of which makes and styles of chess boards are good and which should be avoided. The problem with this is that you don’t always know if they are real customers posting comments. There are any merchants who write the reviews themselves to try and increase sales, however in most cases you’ll be able to spot the frauds as they’ll be very similar and the writing might be very slapdash or poorly written. There’s a variety of computer chess sets, and Saitek are one of the foremost brand names in talking trainer chess computers. Different to other computer chess manufacturers’, they use real chess pieces on top of an actual chessboard with electronic sensors so you experience the same as playing a ‘live’ game. Looking for a novelty chess set? Isle of Lewis chess pieces are almost certainly one of the most familiar items in the world. There’s a fantastic story about these distinguished pieces and they are a steady source of attraction with devotees of the game. The original chessmen were found during the 1800’s in Scotland on the Isle of Lewis and said to be centuries old and derive from Norway. An assortment of hand carved chess sets can be found online, from pieces carved from camel bone by India’s top artisans to fine woods, such as sheesham, ebony, bud rosewood and boxwood, or silver, gold and pewter metal chess pieces. James Bennett to mix business with pleasure, as he loves to work with real wood and create beautiful products. A regular hand carved chess sets player from a young age. During the quiet periods he visits other countries, mainly in Europe, sometimes India, where he explores the local area for antique computer chess sets which he puts with his mounting collection, and aged pieces of wood he crafts into large chess set boards. Board games are an invention that has been around much, much longer than the average person would probably expect. Most civilizations throughout history have had some form of board game within its culture, with relics of some board games being discovered before signs that the culture had even developed literacy skill. The oldest confirmed board game may be traced back to 3500 BC, to the predynastic era of Egypt. Senet, as it has been come to be called, translates to “the passing game.” The game had quite a popularity in Ancient Egypt, with remnants of Senet boards being found not only in the predynastic era, but also in First Dynasty burial sites, which date to around 3100 BC. Paintings of Senet have been found on the walls of many Egyptian burial tombs, from the tomb of Merknara which dates to around 3300-2700 BC and the burial site of the Third Dynasty Hesy, whoever lived from 2686-2613 BC. By the time of the New Dynasty of 1567-1085 BC, Senet had come to be a game of grave importance to the Egyptians. It was believed that a good Senet player would be protected from harm by the gods and often, corpses would be buried with Senet boards as a means to aid in the dangerous journey to the afterlife. The Egyptian Book of the Dead makes references to Senet and its uses with the afterlife journey, proving its vast importance to their society. Across the world, in China, the board game Go was being developed at the same time. The first known written reference to the game dates back to 548 BC, but legend has it that the game was begun by the Chinese Emperor Yao, whoever lived from 2337-2258 BC and had the game designed for his son. It has been theorized that the game was used by Chinese tribal warlords whoever used stones to map out attacking positions. There is even conjecture that the game originated out of a fortune telling device, but none of these may be accurately proven. Go was considered to be the game of the aristocracy and it slowly began to spread to Japan and Korea around the 5th Century AD. Board games have been common through most of history, with each culture and civilization showing historic proof of their existence. However, board games seemed to experience a renaissance in the middle of the 20th Century, when the rise of the middle class provided both the time, money, and the desire for collections of them to become popular. Board games are still riding the wave of this popularity and, despite whatever might happen, may be assured to last long into the future in some form or another. Victor Epand is an expert consultant for board games, chess boards, and dungeons and dragons miniatures. You will find all these things and more if you visit board games, chess boards, and dungeons and dragons miniatures. 8th centuries found in modern day Uzbekistan. These ancient chess pieces are in a different form than modern day chess pieces because they come from a time when chess was primarily an Islamic game. The pieces had a much different appearance because they reflected a different society. In the 19th century, Nathaniel Cook and John Jaques created the first set of Staunton chess pieces out of ivory. The Staunton style of chess pieces became the standard that is still in use today. Ivory is not nearly as common today as it was hundreds of years ago when historical ivory chess sets were made. Now, ivory chess sets are mostly only for collectors. Vintage ivory chess sets can sell for many thousands of dollars, while new ivory chess sets rarely sell for under $900. New Ivory chess sets are extremely rare because ivory is much harder to come by. Though ivory was once commonly used in the construction of many objects, it is now rarely used due to animal rights issues and the advent of plastic. Ivory chess sets are valuable collector’s items. People often pay thousands of dollars for these rare and historic chess sets. The other difference that you will often find when you are looking at tournament chess sets is that the pieces are heavier. This makes it easier for people of all ages and abilities to play and it also helps to ensure that pieces don’t accidentally get knocked over or moved during a game. Because many tournament games take place over days, it is important that there is no room for error in the placement of the pieces. Although you can find these in some gaming stores, you generally will not find high-quality chess sets in toy stores. The sets you will find will have plastic pieces and a cardboard board, which is generally not acceptable in a tournament type situation. However, if you look online, you will see that there are many different styles of chess sets that you can choose from. They all have the same shape pieces, although some vary in size, but the color scheme may change, as may the color scheme of the board. When you are buying a high-quality, tournament chess set, you will get a heavy-duty board, which is much thicker than the usual board you would get with a set. You will also get triple-weighted pieces, which will make playing easier, and the size of the set is determined by the height of the king, which is usually 3.75″ or 4″ high. These tournament chess sets always come in some kind of case, whether it is a tote, a plastic case, or one that is made from leather or aluminum. If you love to compete with chess and need a new tournament chess set the Stuanton set is not only the required set for most tournaments but is also the most preferred. You can find quality chess board games for sale at many online stores that have standard designs or you can have your chess set custom made. Keep in mind that, like any product, you get what you pay for, and if owning a chess set that will last for years to come is your goal, be sure to choose quality over price. What does a chess board consist of? 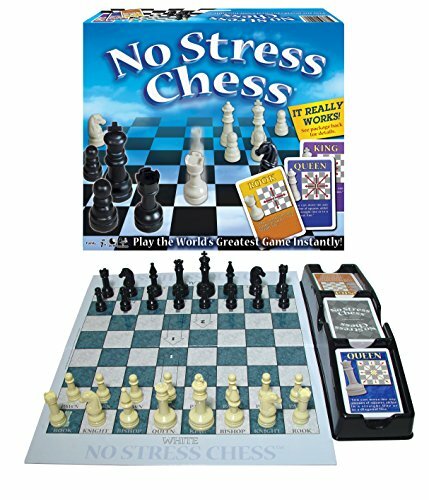 In order to play a traditional chess game (non computer-generated), all you need is a standard chess board and the appropriate pieces that come with it. Every move you and the other player make during the game is ultimately aimed towards a win, in which the final objective is to capture the King of the person your opponent. Standard size chess board games are 8 inches by 8 inches that contain squares which alternate in color, usually black and white. The two players start with 16 chess pieces each, with their own unique color. These 16 pieces consists of one King, one Queen, two Bishops, two Rooks, two Knights, and finally, eight Pawns. Each piece starts with its own unique placement at the beginning of the game. Is chess suitable for children to play? The game of chess can be played by people of all ages, and yes – especially kids. In fact, studies show that all games such as chess can help children build up mental sharpness and sharpen motor skills. And of course, chess is an extremely fun game to play. Chess also helps children develop problem-solving skills and form higher levels of concentration than other children who do not participate in the same type of mental activities. 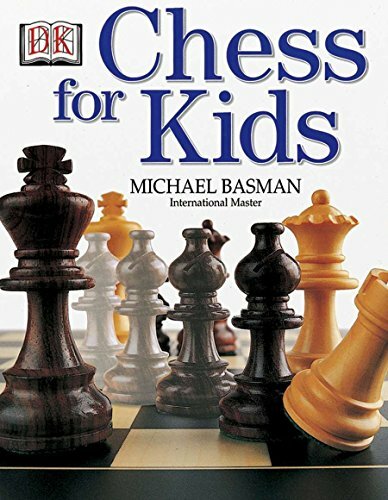 Most kids spend their fun time watching television or playing outside, which is just fine of course, however young boys and girls who engage in the game of chess tend to develop the ability to make tough decisions faster than children of the same age. Chess also enhances a child’s memory. The game of chess is played with the use of specific moves based on a person’s strategic line of thinking. When children are involved with this repetitive play-by-play strategy, they are forced to sharpen their memory skills in order to avoid a past mistake or remember particular moves that they benefited from. Chess board games can be played by children with a traditional set, as described in the beginning of this article, or more conveniently, you can download free chess games from the Internet. Several chess-oriented websites contain instructional booklets, chess puzzles, and various levels of the game. Your kids can start at beginner levels and work their way up to more advanced sessions, and these online chess games also allow them to play against computerized virtual players. Some would say that the invention of the internet has been absolutely wonderful when it comes to chess because it has given us instant access to absolutely everything from news and information about the game to products, clubs and more including the ability to play the game online any time of the day or night. The problem is though that with all of these advances, cheating at the game has also become a lot easier and sadly, a lot more common. Recently, many of the chess world elite have been accused of cheating during a game and while at one point that would have been a preposterous accusation, these days it’s not only a good possibility but a reality that is becoming all too common. How is it possible? Thanks to technology of course! It seems that the small gadgets that we all love for their convenient and almost discreet size and ability to get us online no matter where we are have also made it possible for us to get assistance with our moves without anyone being the wiser because of the sophisticated chess programs available today. The reality of this is not only that people can cheat but it also opens adds a whole new element of dishonesty to the game that was not there in the past. A worthy opponent now runs the risk of being questioned and wrongfully accused for simply being a strong adversary who is skilled at the game! Being the winner of a competition now comes with the added possibility of being the centre of a smear campaign because more and more people are losing trust in others and in the game. And since this is a fairly new development and one that is not very easy to investigate let alone confirm; it is taking away some of the elegance of the game and bringing it down to a whole new and less desirable level. A perfect example of this is the recent Aeroflot Open match between Igor Kurnosov of Russia and Shakhriyar Mamedyarov of Azerbaijan. Kurnosov’s quick win was accused of being the result of cheating, even though the referee found nothing on the winner but a pack of cigarettes and a lighter. This situation would never have occurred before the invention of the internet and wireless devices. A winner would have been praised on his ability and not accused of stealing moves from an internet program hidden in his pocket! This doesn’t change that many of us love the sport of chess and it certainly will not make the game obsolete thanks to those who love it and play it at home and with friends, but it is and will likely continue to have an impact on competitive chess, the way it is seen and the way the tournaments are handled by the World Chess Federation. It may even deter people from wanting to advance to the competitive level which would be an absolute shame, especially given the fact that chess has was only finally recognized by the International Olympic Committee as a sport in 1999. The Chess Game was invented thousands of years ago and right throughout its history it has become known as the king of board games. Such people as Napoleon, Charlie Chaplin, Einstein and Nikola Tesla where renowned for their chess skills. Not only can the game of chess provide you with hours of pleasure it is great for exercising the intellect and the game is known to be able to improve someone’s analytical thinking their creativity and judgment. Although during the past Chess was mainly played by those of a high standing such as courtiers etc., today you will find that the game attracts people of all ages and all works of life from around the world. Not only do several people find chess intriguing, but it also gives them a chance to pit their wits and skills against another. Most that anyone requires to be able to play chess is a chessboard and chess pieces, you can even play online if you want (all you need then is a computer). A normal chessboard is 8″x 8″ with alternating black and white squares. There are a total of 32 chess pieces, 16 white and 16 black. One player will play with the white pieces (WHITE player) and their opponent gets the black (BLACK player). The 16 pieces are made up of the King, Queen, 2 Rooks, 2 Bishops, 2 Knights and 8 Pawns. 1. The player places each of his pieces along two rows of the board (ranks) closest to him. 2. The 8 pawns are placed in the front rank with the rest of the pieces placed behind them closest to the player. 3. Starting from the outside of the board and working into the middle the pieces closest to the player should be placed in the following order Rook, Knight, Bishop, Queen, King, Bishop, Knight, Rook. The order they’re placed in for the WHITE player is from left to right on the board and for the BLACK player from right to left. Thus you end up with the opponents same piece in each column (file) facing each other on the board. To help describe the chess positions an “algebraic chess notation” was invented and is simple to learn as it helps the players to identify squares and pieces that are on the board during a game. Below we describe how it works. When viewing from the WHITE player’s point of view the left most file (column) is known as “A” and the next one “B” and so on until we reach the right most file (column) known as “H”. The rank (row) which is closest to the WHITE player is then called “Rank 1” or the “First Rank” and then comes “Rank 2 (Second Rank)” and so on until we reach the 8th Rank which is the rank (row) closest to the BLACK player’s pieces. Chess play might be complicated as each piece moves in a different manner. The object is to take the oponnents king, but this piece itself is fairly liminted in movement and can only move to an adjacent square. The Queen is the most versatile piece and can move any number of squares in any direction. The bishop can move any number of squares on the diagonal. The knight is the most interesting and moves in an “L” shape – up 2 squares and over 1 (or up 1 and over 2) in any direction. The rook can move any number of squares forward, backward, left or right. The pawn can advance only 1 square unless it is his first move then he can move two sqaures forward provided no other pieces are in the way. Lee Dobbins writes for http://chess-moves.info where you can learn more about the art of playing chess. Whether one is looking for a beginner’s chess board or a tournament ready one, Bello Games New York has the extensive range of chess boards to delight the chess player whether expert or a novice. There is a broad range of sizes of chess boards at Bello Games New York. They have the 1 1/8″ to 1 9/16″ squares, 1 ” squares, 2″ squares, 2 ” squares and larger and chess cabinet boards. Likewise, there’s a good selection of chess boards to suit every taste and budget. 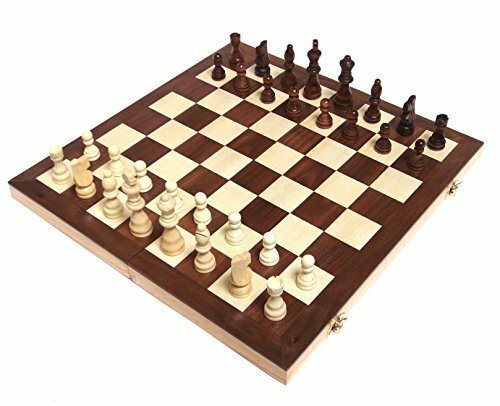 There is the Houston Street Chess Board that is an excellent choice for the beginner reasonably priced at only $24.99 as well as the Stuyvesant Street Chess Board from Spain at $49.99. At the other end of the price spectrum there’s the Albastro Chess & Checkers Cabinet Board from Italy at $499.99. 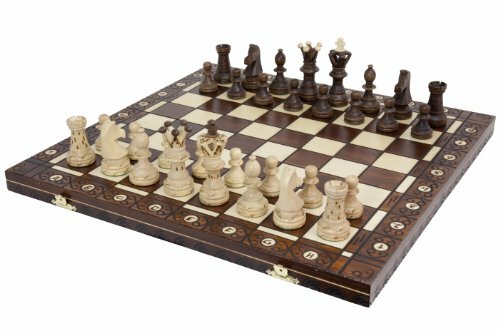 The Albastro is an exquisite chess board is made up inlaid genuine Italian alabaster and worm wood constructed from superior quality materials. 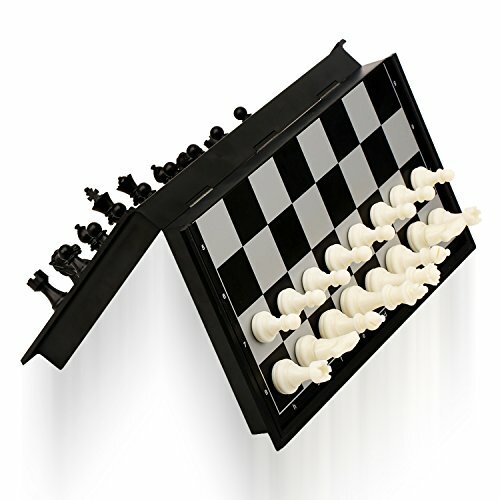 Another top quality chess board is the Mancini Chess and Checkers Board [$449.99]. The Mancini chess/checkers board exemplifies luxury! This is an exceptional board crafted by Italian artisans in Italy. This board will become the centerpiece of any room, it is crafted of briarwood and birdseye maple. The board is lined with a black onyx color along the boarder. There is a raised frame brushed with gold and sliver for a unique finish, the board has a high gloss finish. There is an array of chess boards at various prices depending on the finishing and materials used. 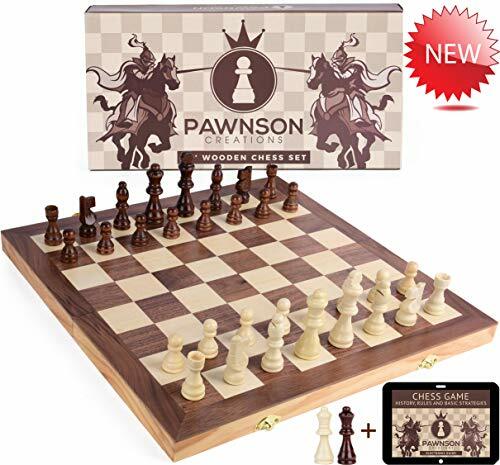 These include the Greenwich Street Chess Board from Spain [$129.99], Agostino Chess board from Italy [$299.99] and the Napoli Chess and Checkers Board from Italy [$329.99]. Bello Games New York is located in Chicago, Illinois, just off the good “Magnificent Mile”. Bello Games New York, Inc. has a large selection of family games such as Chess, Backgammon, Rummy, Playing Cards, Gambling Equipment, Dominos, Go Sets among others. Their products are sold in famous department stores on Fifth Avenue in NYC to Beverly Hills to Monaco. Bello Games New York makes wonderful gifts and will surpass the client’s expectations. Bello Games New York provide unbeatable value, experienced selling staff and experts in their own game products, good customer service where the caller is immediately connected with a gaming expert and active involvement with their manufacturers in Italy, Hungary, France, Japan, Germany and China to ensure that their products are made to Bello Games New York specifications. Bello Games New York, Inc. uses UPS as its main carrier. UPS charges are determined by the actual weight of the ordered item. The client will know the total cost before making the purchase. Once the client has completed shopping he/she will be able to select from several shipping options such as UPS ground, UPS next day air, etc. and his/her credit card will be charged. For more information on Chess Boards visit: bellogamesnewyork Please contact Bello Games New York, INC., at [email protected] or call them Toll Free 866-570-4448. Located in Chicago, Illinois, Bello Games New York have your simple economical game board, on up to luxury sets which are crafted of 24K gold/silver plating, Swarovski Crystals, Italian Alabaster, Briarwood and so much more.